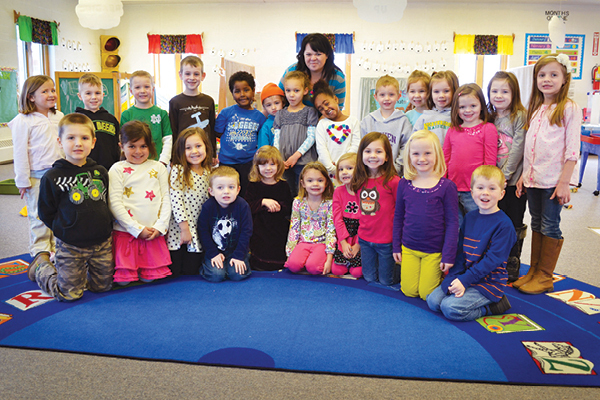 Pleasant Oaks Mennonite Church established it's four-year old preschool in 1971 as the first nursery school program of its kind in the Middlebury community. It is a church sponsored, not-for-profit program that is an outreach ministry of First Mennonite Church of Middlebury. In 2009-10, Pleasant Oaks Mennonite Church and First Mennonite Church of Middlebury merged their congregations. First Mennonite has continued to support, embrace and encourage the great ministry of the Pleasant Oaks Preschool program.